The Dalai Lama Talks Chinese Reforms, Tibetan Challenges : Parallels "China can no longer isolate itself," says the religious leader, who praises Chinese President Xi Jinping for fighting corruption. He also says Tibetans don't need a Dalai Lama any more. 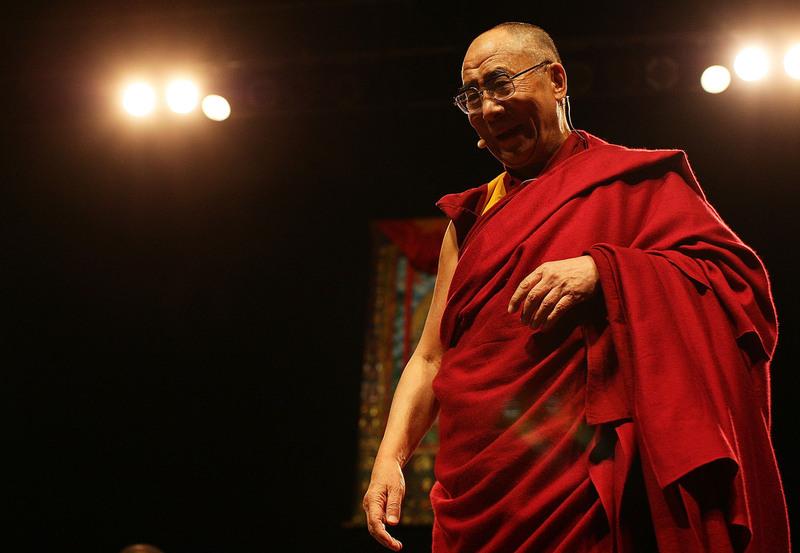 The 14th Dalai Lama speaks in New Zealand on December 5, 2009. The religious leader is now 79, and says he can imagine being the last Dalai Lama: "Twenty-six hundred years of Buddhist tradition cannot be maintained by one person," he tells Jörg Eigendorf. Tibet has "remained a mysterious country," says the Dalai Lama, and the mystery extends even to himself. Ever since the spiritual leader fled to Dharamsala, India, after being forced by the Chinese to leave his home country in 1959, his only information about Tibet has come from eyewitness accounts. He tries to meet with every refugee who makes it through the Himalayas. And therefore it was neither the photographer York Hovest, nor the reporter Jörg Eigendorf, but the Dalai Lama himself who asked the first questions during their interview in Dharamsala. He wanted to know the details about Hovest's time in Tibet. Whether there were still monks in the monasteries where the Dalai Lama once studied and took his exams. How exactly the surveillance cameras of the Chinese worked. And whether it was not somehow possible to plant a few trees 5,000 meters above sea level. Page by page, he went through Hovest's book, 100 days in Tibet. But in the end it was still an interview. Your Holiness, do you think that you can return to your homeland one day? Yes, I am sure of that. China can no longer isolate itself, it must follow the global trend toward a democratic society. I can already feel that change among Chinese students. I heard there are more than 200,000 Chinese students studying abroad nowadays. A few years ago when I met students, they were serious and reserved. Today they smile. Those are signs of change. Is this the reason you have become almost conciliatory toward China during the past few months? A new era has begun with the presidency of Xi Jinping. He wants to create a more harmonious society than the one under his predecessor, Hu Jintao. In former years, it was the era of economic growth, which has created a lot of resentment and envy. Deep down in their hearts, 95 percent of all Tibetans still feel and think very Tibetan. They are strongly connected to their culture. If China reforms, what happens to Tibet? Whoever wants a harmonious society can't rely on violence and suppression. Harmony comes from the heart. It is based on trust. Harmony and distrust are mutually exclusive. This is good for Tibet. How Tibetan is Tibet these days? The Chinese did not manage to destroy our culture, which is 3,000 to 4,000 years old. Those who criticize different beliefs and cultures actually make them stronger. Deep down in their hearts, 95 percent of all Tibetans still feel and think very Tibetan. They are strongly connected to their culture. This even applies to those who work for the Chinese. What do you mean by "thinking and feeling Tibetan"? This is to practice and internalize Tibetan Buddhism, which is the teaching of compassion, wisdom based on intelligence and interdependence. We believe in being reborn over and over again, until we attain enlightenment. Do you need to be anxious about the Tibetan culture? We still have a big problem: Without proper teachers and proper training, keeping up a religion is very difficult. Prior to 1959, there were outstanding scholars in Tibet. But most of them were arrested, some were killed, some fled. So there aren't enough scholars in Tibet who could train new monks? We have trained some monks here in India who have returned to Tibet. But this is rare. The danger is that religion becomes a mere ritual. It's not sufficient to ring a bell, you know. Monks have to master the doctrine and the meditation. They need to be good in both. This requires thorough training. Without proper teachers and proper training, keeping up a religion is very difficult. ... The danger is that religion becomes a mere ritual. It's not sufficient to ring a bell, you know. Why do you think Chinese President Xi Jinping is serious about the change he began? He resolutely fights corruption. And corruption is the main source of mistrust. Xi Jinping is brave. He has alienated large parts of the old cadres. Some high-ranking Chinese officials have been arrested. The president seriously thinks about values. During his visit to Paris in March this year, he even referred to Buddhism as an important part of the Chinese culture. Could Buddhism play an important role in China's transformation? Maybe. The leader of the Communist Party saying something positive about Buddhism is definitely new. He has Buddhists in the family; his mother even practices Tibetan Buddhism. And many Chinese people are fascinated by our religion. But monks are still burning themselves in Tibet, human rights are still violated blatantly. Yes, that's terrible. And it hurts to see that. But we have to accept that Tibet will always be in the neighborhood of China. We cannot move it anywhere else. Although the two countries have a bad relationship at the moment, that wasn't and will not always remain this way. I hope for change being carried from outside into China. It is good that China was integrated into the world economy. I've always said so. What matters now is that the modern world supports China becoming a democratic country — with rule of law, human rights and freedom of press. So integration is good, for Tibet as well. The Dalai Lama, shown here as a child, says in his dreams he dies at the age of 113. He also says he wishes to be reborn "as long as sentient beings' suffering remains." You are now 79 years old. Can you imagine that you won't have a successor? Yes, indeed, I can. The institution of the "Dalai Lama" was important mainly because of its political power. I completely gave up that power in 2011, when I retired. Politically-thinking people must therefore realize that the more than four centuries of having a Dalai Lama should be over. But isn't your spirituality more important than political power? Tibetan Buddhism is not dependent on one individual. We have a very good organizational structure with highly trained monks and scholars. Over the past five decades, step by step we have built up a strong community here in India. So the Tibetans do not need a Dalai Lama anymore? How old do you want to become? The doctors say I could become 100 years old. But in my dreams I will die at the age of 113 years. You have written and said that you can affect your rebirth. I hope and pray that I may return to this world as long as sentient beings' suffering remains. I mean not in the same body, but with the same spirit and the same soul. It is said that whoever has achieved enlightenment will not return. 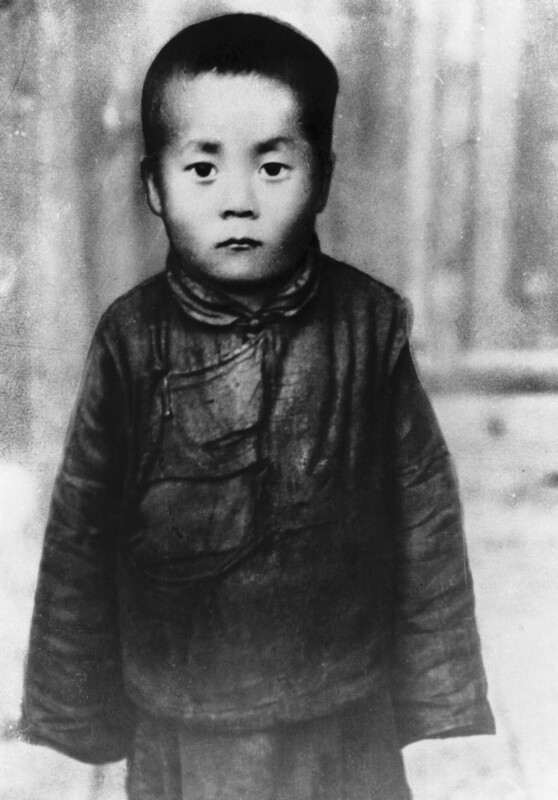 The first Dalai Lama became 80 years old. There his disciples said that he was ready for a place in heaven. He replied: "I have no desire for any of these heavenly places. I want to be reborn, where I can be of use." This is my wish, too. Jörg Eigendorf writes for the German newspaper Die Welt.